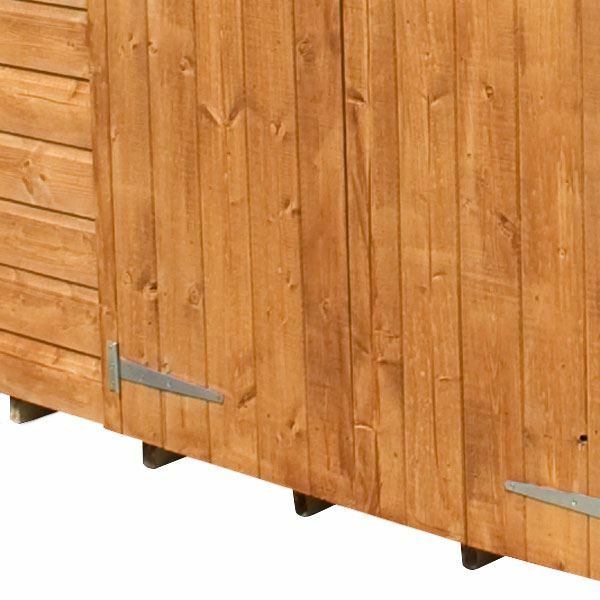 If you need somewhere to work on home projects or hobbies, then you will love this sturdy 16 x 10 Waltons Groundsman Tongue and Groove Apex Workshop. Offering a large interior, this garden building provides plenty of space for storing various work benches and storage shelves. 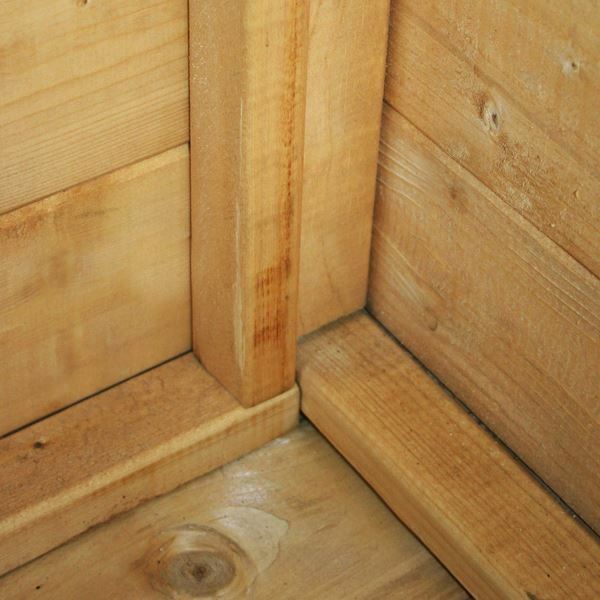 The walls have been made using 12mm tongue and groove cladding, this type of cladding slots together to create a robust panel that prevents water getting in. To ensure the structure of this building is robust enough for daily use, the floors and roof have been built using 12mm tongue and groove timber. A robust 2” x 1” interior frame provides a strong support, meaning this workshop can comfortably withstand adverse weather conditions. Large double doors make access easier, ideal if you need to store large pieces of equipment that are awkward to maneuver. ‘Z’ shaped framing is added to the inside of the door for support. 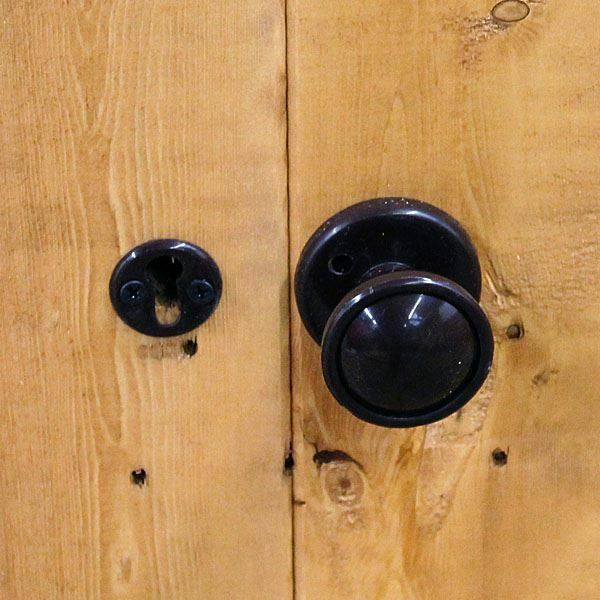 A rim lock is supplied to keep the two doors securely closed when the workshop isn’t in use. Large opening windows allow plenty of light to brighten up the interior, whilst ensuring the work space is well ventilated. The windows are 100% shatterproof styrene; this is a safer alternative to traditional glass that will protect your family from potential harm. An apex roof provides plenty of headroom inside and allows rainwater to drain off the roof quickly and efficiently. 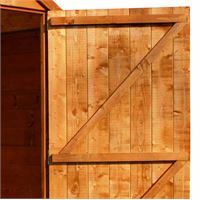 Quality mineral felt is included as standard to provide a defensive barrier against wood rot and decay. 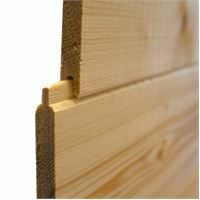 Our overlap panels are made from domestic pine timber. 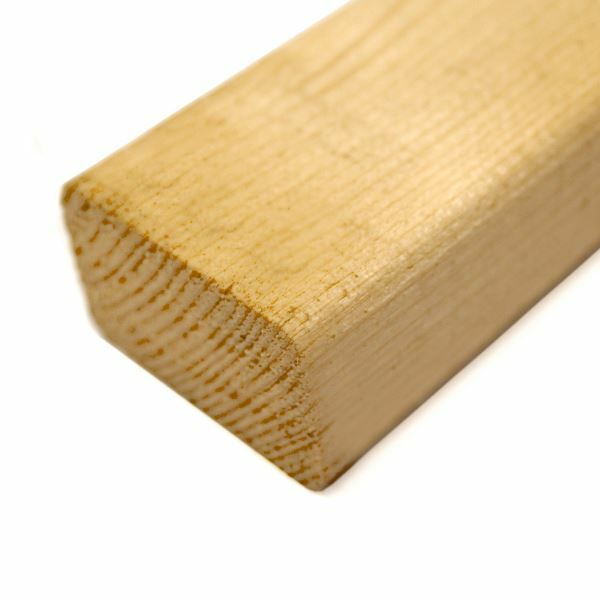 The rough sawn finish make them very absorbent which helps when applying a spirit based wood preservative. Our Reply:Good morningThank you for your feedback regarding your product purchased recently. it is good to know that you are happy with the building and the price. Review:The shed itself it pretty good. It’s a good size and is aesthetically pleasing. Just a shame about the company that supply and install the shed! Our Reply:I am glad you are satisfied with your purchase and apologise for the problems you have had with installation. Review:Good quality product, just what I wanted. I am so pleased to know that you are happy with the service you have received and that you are also very pleased with the quality of your tongue and groove workshop. I thank you for having taken the time to offer your great review! 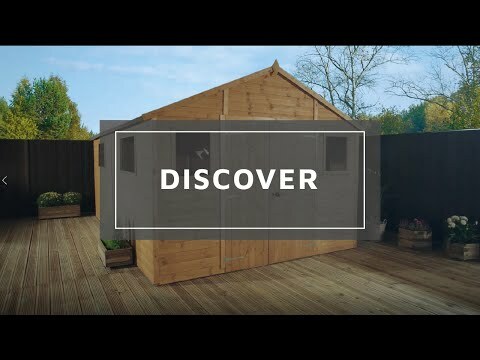 Review:Good shed reasonable price, excellent delivery, driver was bang on time at 6.40am which suited me very well. One small point Right hand shed door is warped so difficult to make weather proof . I will monitor this and make contact if it deteriorates further. 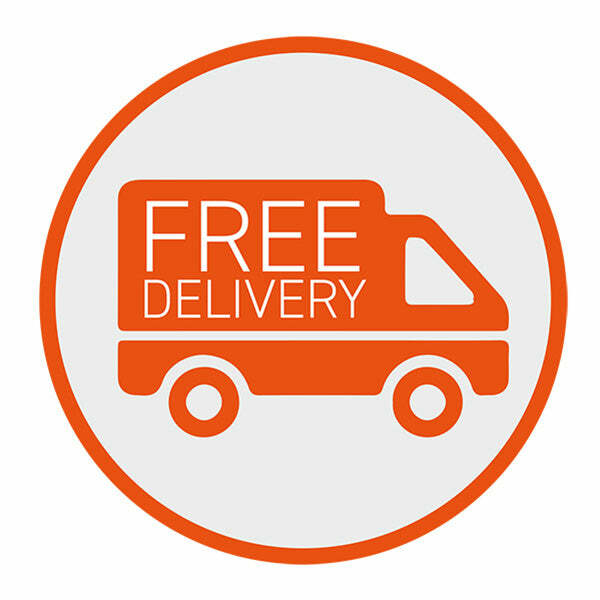 Our Reply:The floor will be fit for purpose if you have issues please let us know and if you no longer require the extra lock we can return the item for a full refund. Thank you again for your great feedback and I hope you enjoy the building for many years to come.